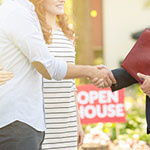 House hunting can feel like an adventurous new chapter in your life, and if you're lucky enough to find the property that checks off all the must-have boxes—appearance, size, price, location—it's easy to fall in love. 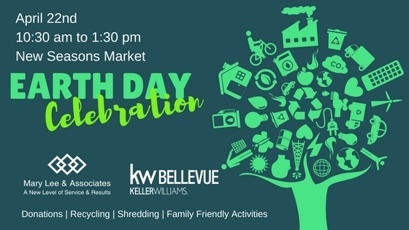 In honor of Earth Day, Mary Lee & Associates is hosting a FREE recycling event on Sunday, April 22nd. Items for recycling including secure paper shredding by Pacific Northwest Shredding, electronics recycling (including TV's, laptops and other electronics) and metal and household goods by Uptekk Recycling. We will also be accepting donations in good condition for the Mercer Island Thrift Shop, including clothing and shoes, household linens, books, housewares and collectibles, music and video media, sporting goods, toys and games, jewelry, baby equipment, furniture and home decor. Please feel free to stop by between 10:30 and 1:30 at the New Seasons Market on Mercer Island. Many US taxpayers are preparing to receive large refund checks. In fact, the average refund amount for this year is expected to be $2,895. 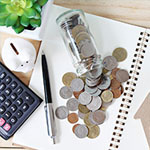 According to a recent report by CNBC, only 43 percent of American families have at least $1,000 set aside for emergency expenses. If you find it difficult to save for a rainy day, your tax refund can make starting a savings account easier. Skagit Valley Tulip Festival features spectacular fields of blooming tulips and daffodils. See the interactive or printable map. The free Tulip Festival Street Fair is April 20 to 22, 2018 in Mount Vernon. Get a special deal on a three-course meal at 165 restaurants during Seattle Restaurant Week, which does not include Fridays and Saturdays. Restaurants all offer dinner and some offer lunch. Repeats in Oct. The Cherry Blossom & Japanese Cultural Festival celebrates Seattle’s friendship with Japan and Japan’s gift of 1000 cherry trees in 1976. Enjoy Japanese art, dance, music, and food at Seattle Center. On State Parks Free Days, you can picnic and play at any of the 140 Washington State Parks for free. Drink local wine in shops during Kirkland Spring Wine Walk, which begins at the Heathman Hotel for age 21+.